On the afternoon of Thursday, August 2nd, 2018, KLJ Studios Photography captured some acting headshots during an In-Studio Personal Branding Session for a lovely young lady named Frances. Frances (also Fran) needed to update headshots for upcoming auditions with the Woodland Opera House in Woodland, California. 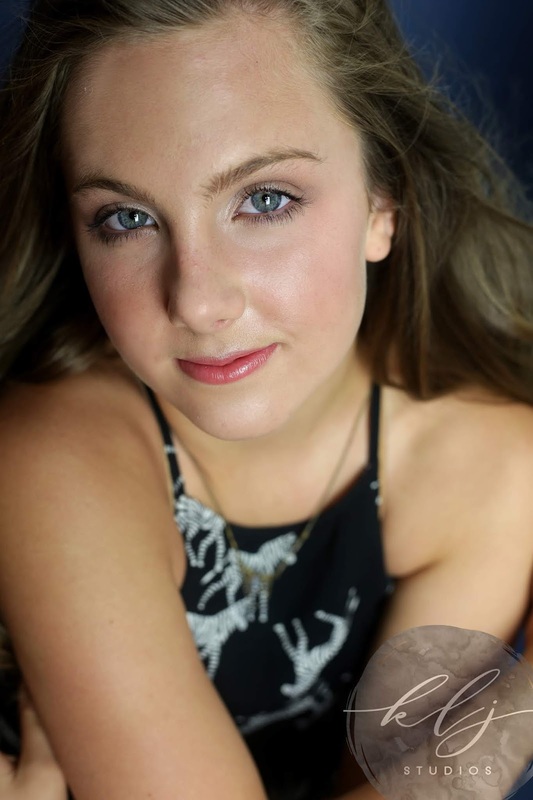 Fran loves music and is also a talented singer occasionally performing with her father on stage as a part of the Bottom Dwellers. Be sure to go take a look as this talented big-time local music talent here: https://bottomdwellersmusic.com/! This music group, the Bottom Dwellers, is quickly becoming a KLJ Studios favorite. 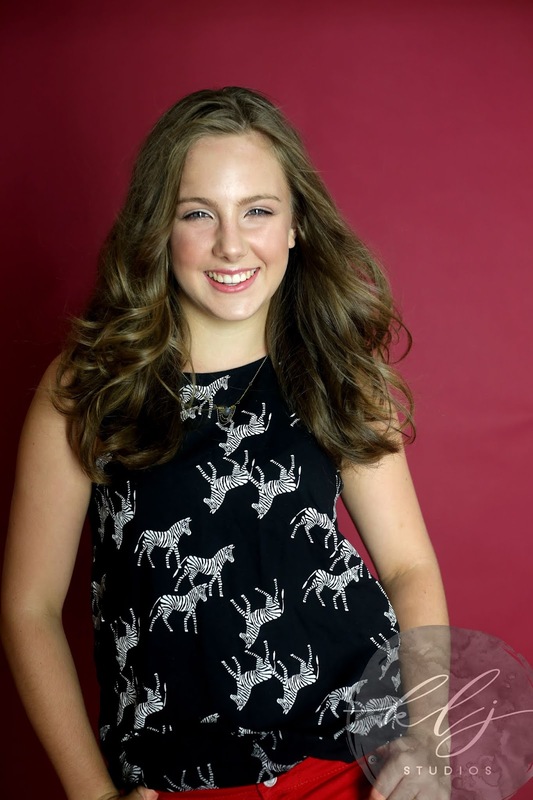 While also regularly dancing and performing with the Woodland Opera House, Frances also swims competitively, and plays piano AND violin. 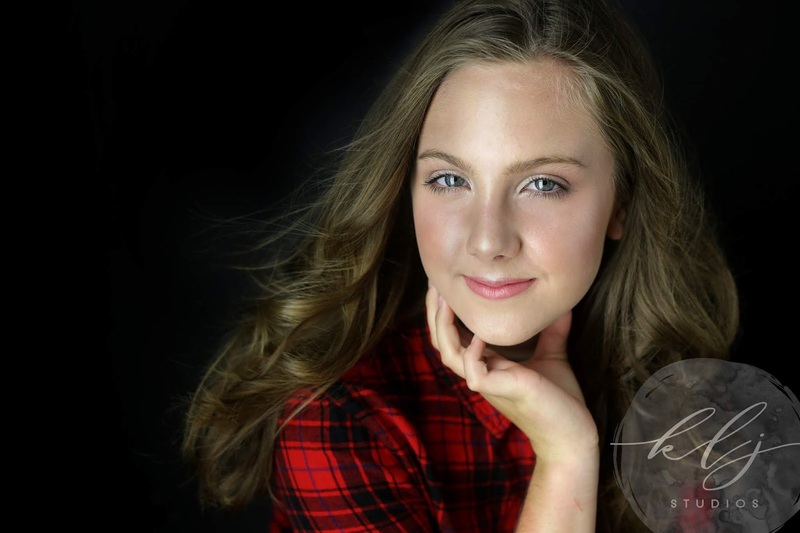 Frances is one talented individual, and we are so glad she chose KLJ Studios to take her professional acting headshots. The Lead Photographer for the KLJ Studios Branding Session was Kelly Lynn Jordan, and the KLJ Studios Lead Makeup Artist was the very talented Veronica Marshall. Fran really came prepared for her session. She picked out several shirts that were really representative of who she was and showed her very colorful personality, and a display of personality is extremely important for acting headshots. As we lowered our beautiful red backdrop for Fran, the backdrop did not stop like it was supposed to do. The backdrop quickly accelerated (it had not been fastened appropriately) and it began to completely unravel towards the ground. Patrick Jordan (KLJ Studio Guru and all-around nice guy) took a few moments to work his mechanical magic with a ladder and his hands, and the photo shoot was underway once again! What an exciting shoot this was. Aimee and Kelly could not get over how amazing the red background was really working with Fran. According to Kelly, Aimee was obsessed with the red background, however Aimee said this was an understatement. We at KLJ Studios are all in agreement about the red background having taken a look at the final product, and Fran, you make all of our backdrops look great!